Sonya sits in the hospital waiting room, waiting for her burns to be redressed, as she has done every day now for the last four weeks. As the boat toppled over, the mix of petrol and salt water on her skin resulted in severe burns across her body. She speaks great English, and is a feminist. Once she gets to the UK she wants to work for women’s rights organisations. Tonight Farman heads to the beach. The last few nights he has watched the helicopter scan the coastline for people in boats every hour. When he entered Europe 4 years ago with his family he never imagined they’d still be here. They tried to claim asylum before, in a European country they loved, and that took great care of his very disabled 15 year old sister. Their claim was denied, and with continued IS attacks in Iraq, returning home is not an option. They have friends and relatives in England, crossing by boat seems the only way. These are a few snippets of conversations we’ve had with displaced families living in both Calais and Dunkirk, who have resorted to these desperate measures. The recent boat crossings have created a media storm and, while this may have been an opportunity to emphasise the deep rooted issues in hostile European immigration policies and increasingly violent and impenetrable borders, the perspective of those most entrapped by the lack of legal routes has been omitted. 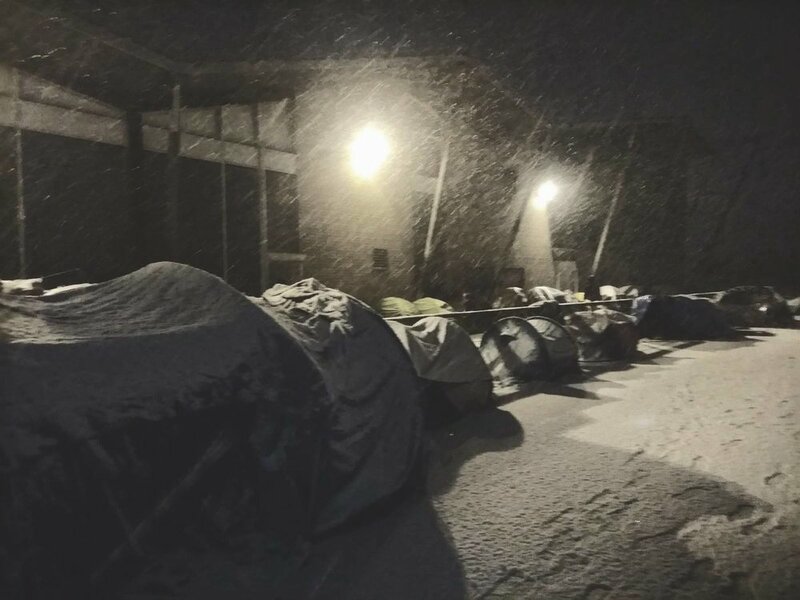 Over five hundred people sleeping outside woke up to a blanket of snow this morning. Police violence in France, family in the UK, years of denied asylum applications in other European countries, whatever reason it may be that people are choosing to make this dangerous crossing; right now, this is our border.